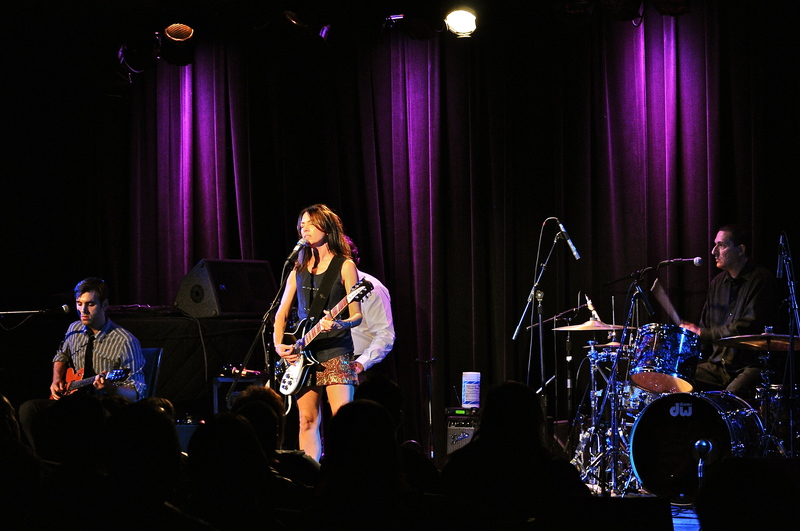 NATICK, MA – Susanna Hoffs took to the stage Friday evening to a full house at The Center For The Arts in Natick (TCAN), Massachusetts, just outside of Boston. The show was just her third of an eleven show run that will conclude in Seattle later this month. Admittedly she was a little nervous as she stated to the crowd during her seventy-five minute set. The intimate confines of TCAN made for a unique show, one that any fan of Hoffs would soon never forget. At times the laid back atmosphere almost felt as if Hoffs was playing to a group of friends in a large living room. In between tuning for the next song, Hoffs encouraged the audience to ask her questions as she had no banter prepared. One interesting thing we did learn was there will be another collaboration with her and Matthew Sweet sometime in the future. Accompanying Hoffs was bassist Derrick Anderson, percussionist John Calacci, drummer Jim Laspesa and guitarist Andrew Brassell. Laspesa is a multi instrumentalist as he demonstrated by playing guitar at one point during the show. 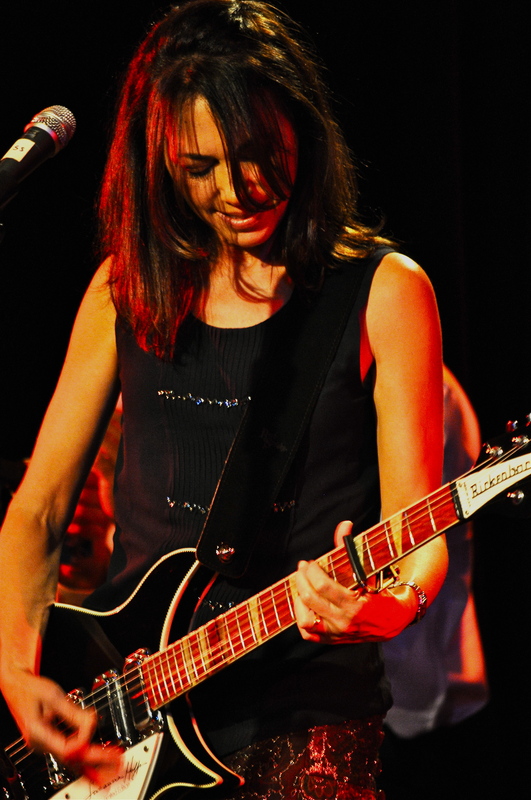 Brassell played guitar on as well as co-wrote several tracks from her latest release Someday. Kicking things off with the Jackie DeShannon song, “When You Walk Into The Room”, she then immediately went straight into the Michael Nesmith penned “Different Drum”. It wasn’t until the third song where she finally cracked into the sixties influenced Someday, with “November Sun”. In all she managed to slip in five songs from her heralded latest including stellar versions of “Always Enough” and “Picture Me”. Hoffs touched on all bases of her career including some of her big Bangles hits in “Manic Monday” and “Eternal Flame”, both performed in a stripped down but recognizable format. “Walk Like An Egyptian” was intertwined with more recent song “Under A Cloud”, from The Bangles 2011 release Sweetheart of the Sun. The song that really went over well was “If She Knew What She Wants”, a song Hoffs stated was just worked up that day following a brief run through at the prior show. Recently releasing the acclaimed Someday and her renewed vigor to play some solo shows appears to have rejuvenated Hoffs and it was very evident in her performance. “One Day” is a song that sports the lyric “One day I’m gonna make everybody love me”, no need to worry Susanna, everybody that witnessed your show at TCAN already does.